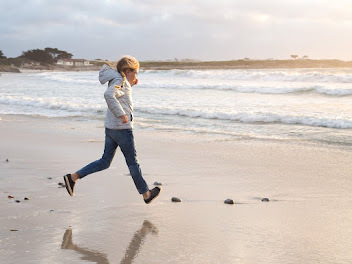 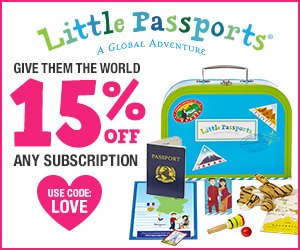 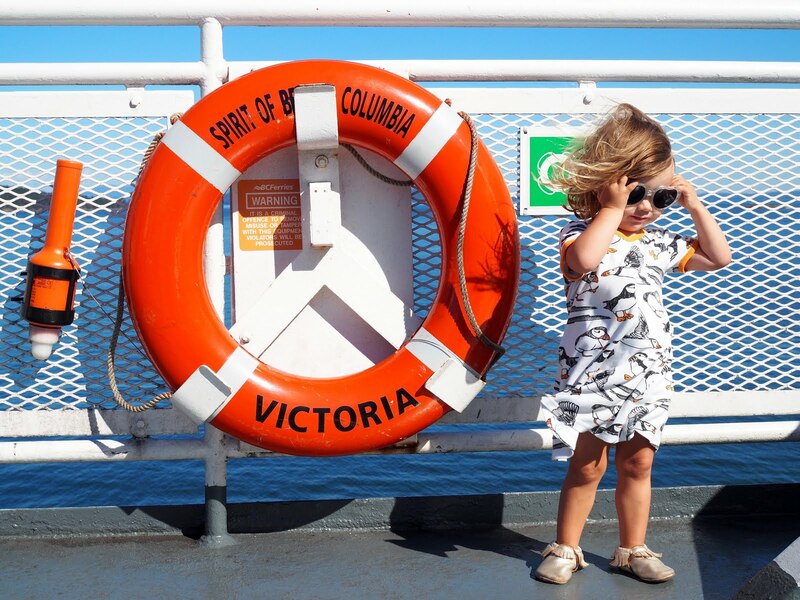 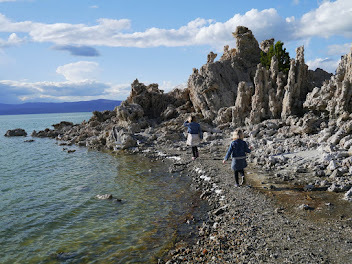 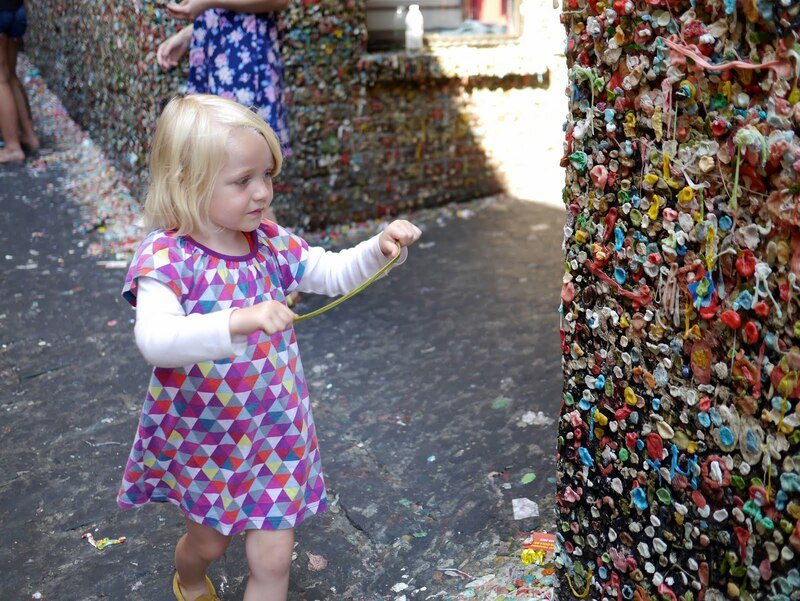 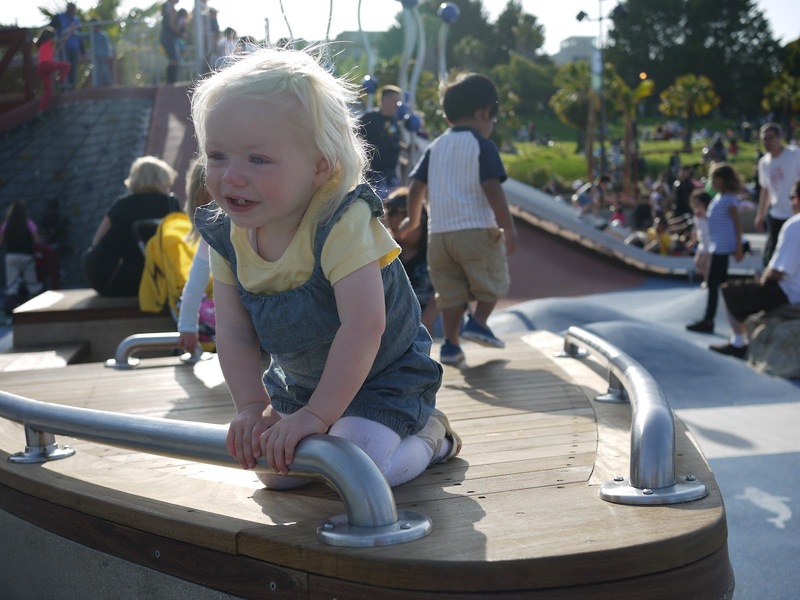 Time for another amazing playground, this time a little closer to home. 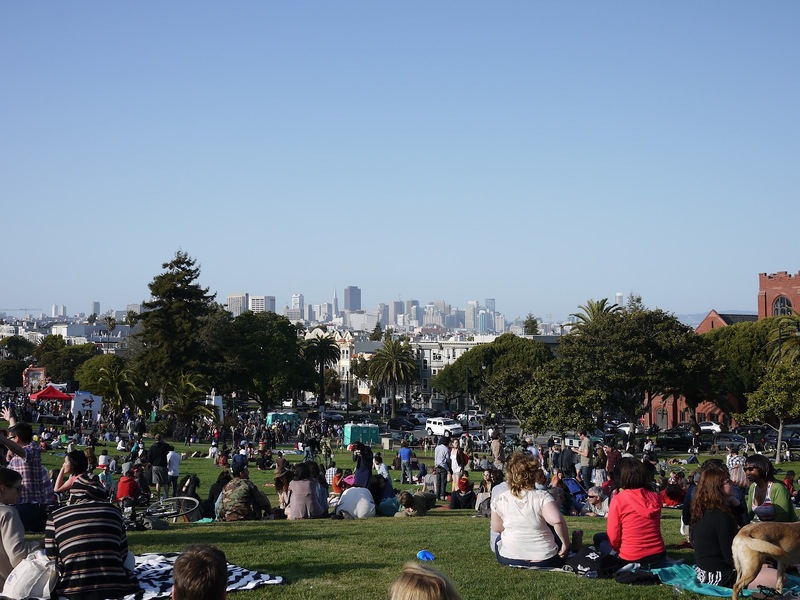 When we first moved to the Bay Area one of the first places we visited was Dolores Park in San Francisco's Mission District. It's an amazing park with sprawling lawns, breathtaking views over the city and some pretty interesting views of the (not always dressed) locals! 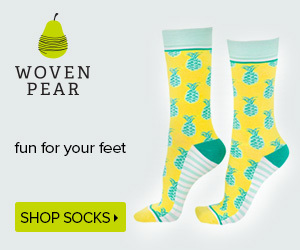 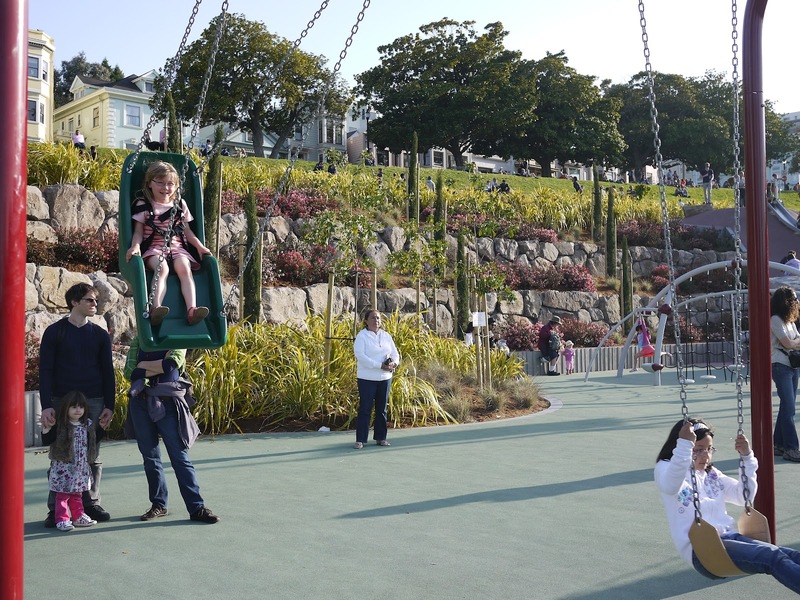 One thing that was missing, however, was a playground. 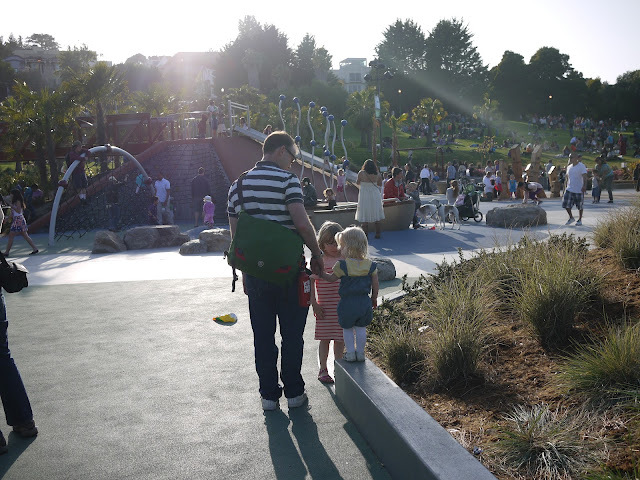 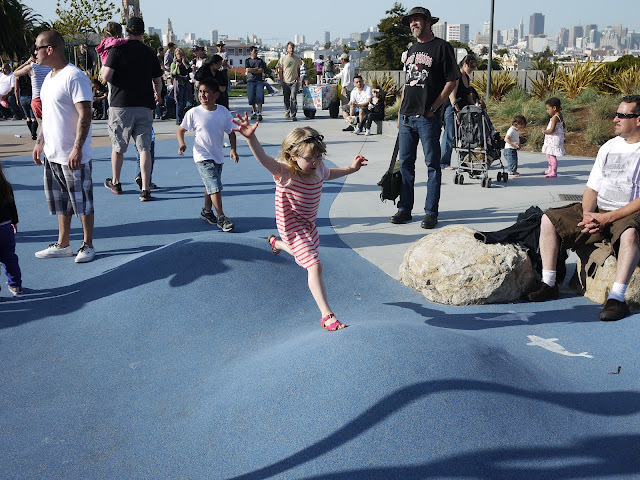 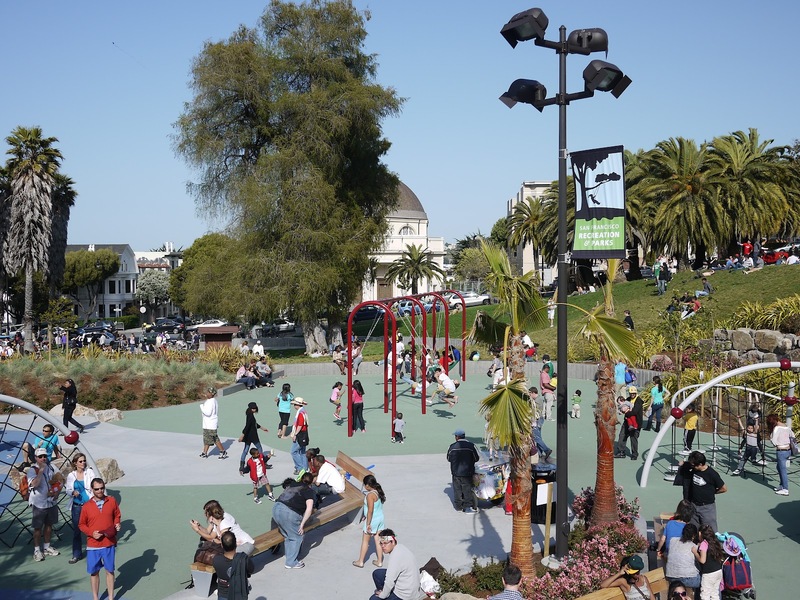 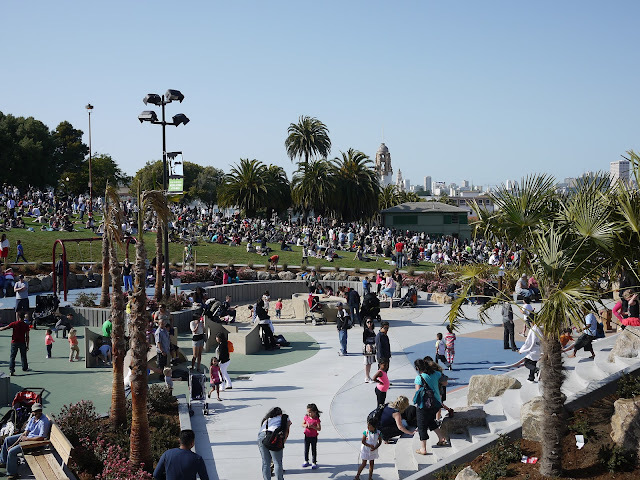 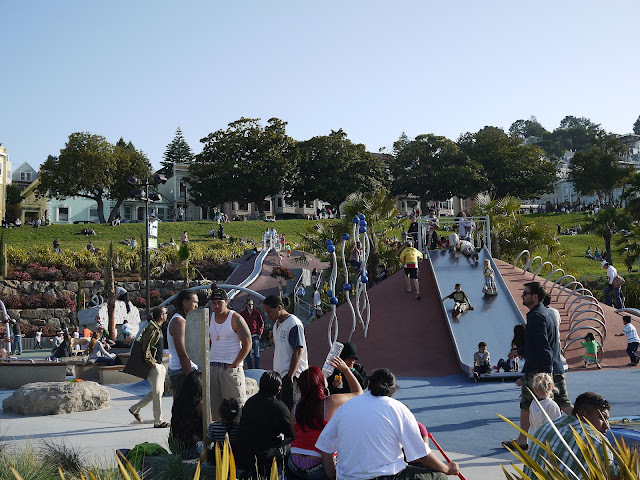 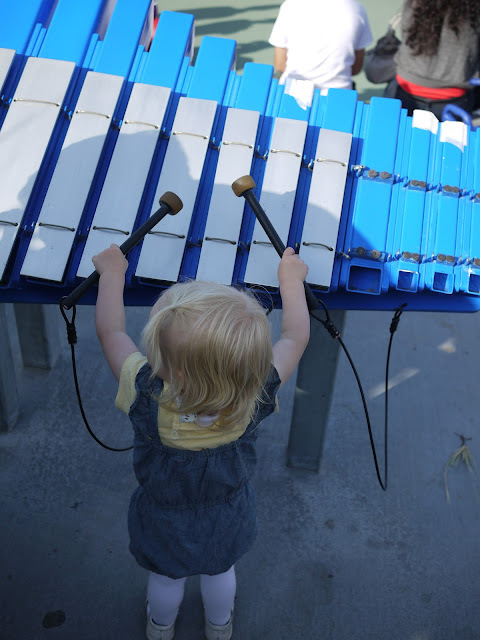 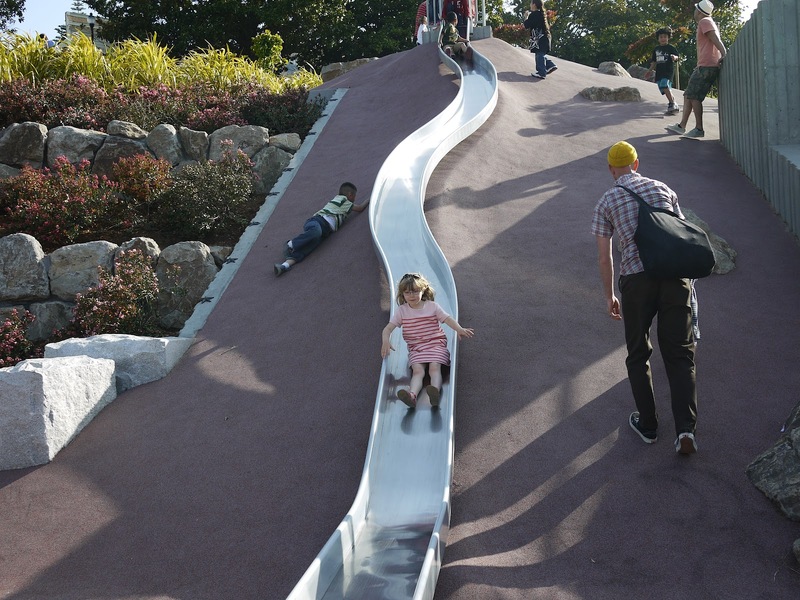 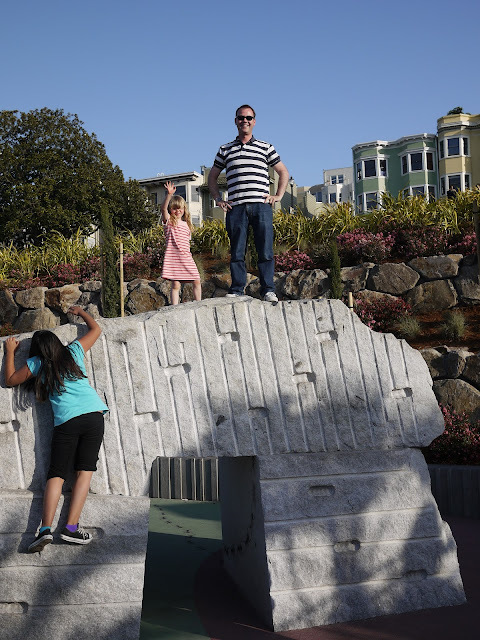 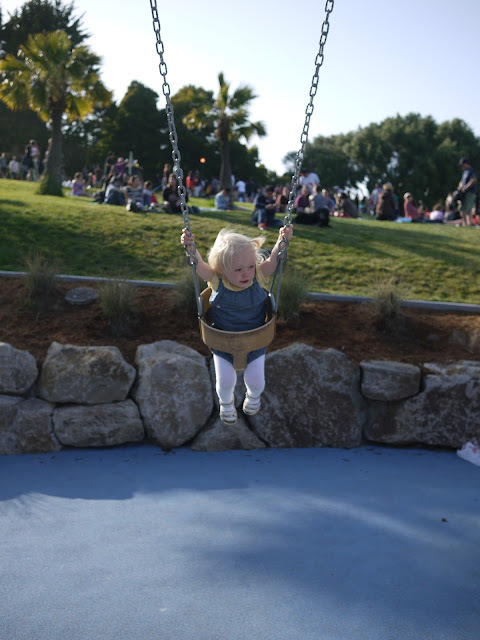 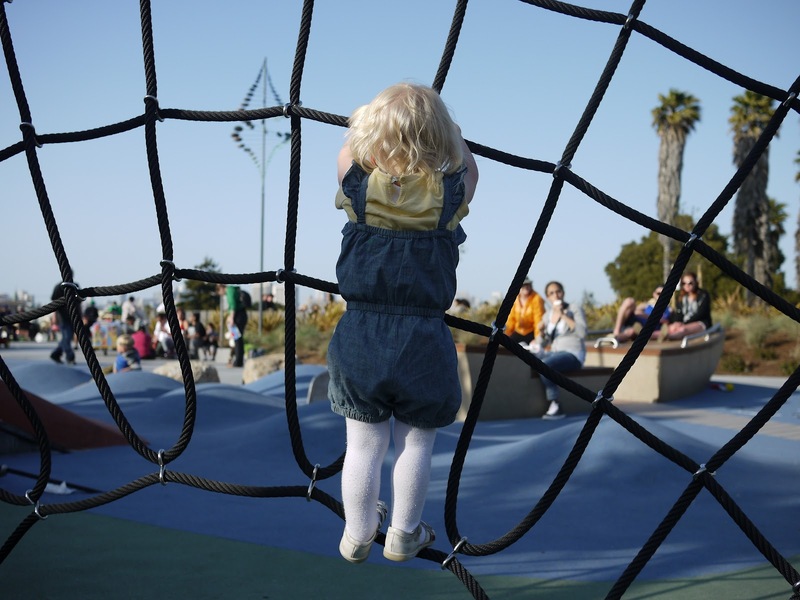 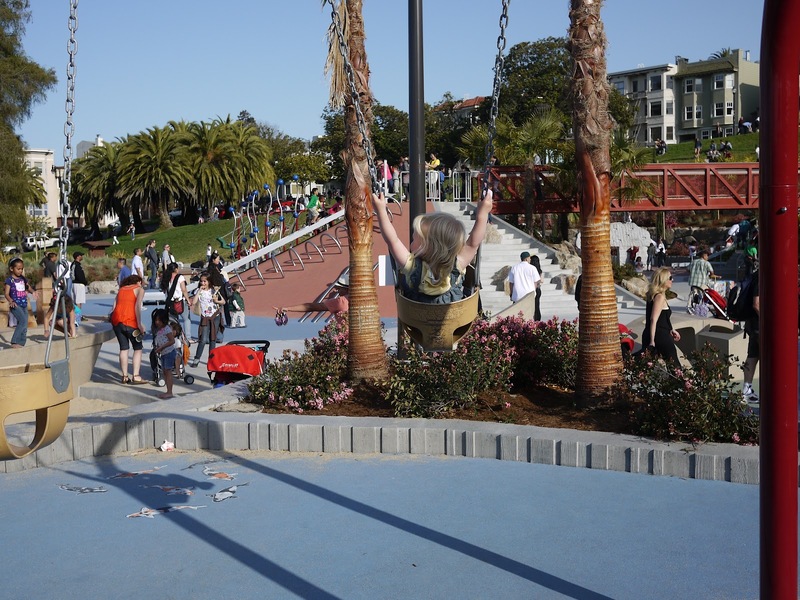 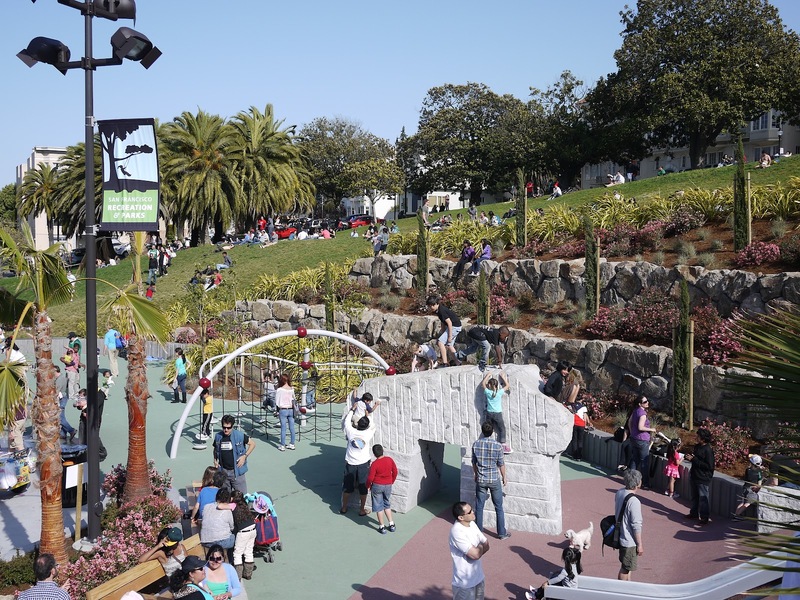 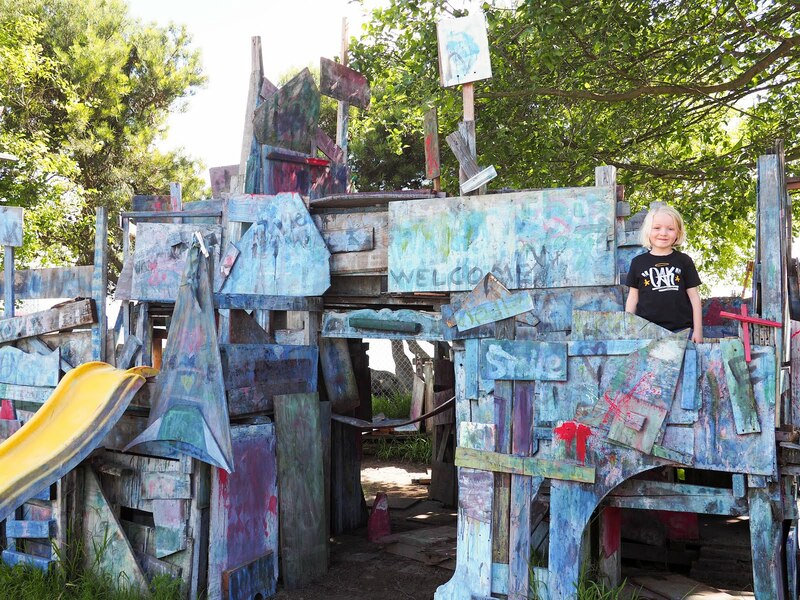 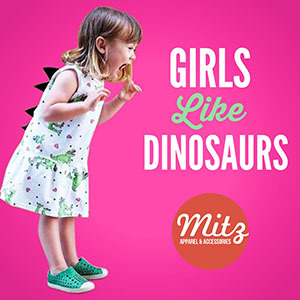 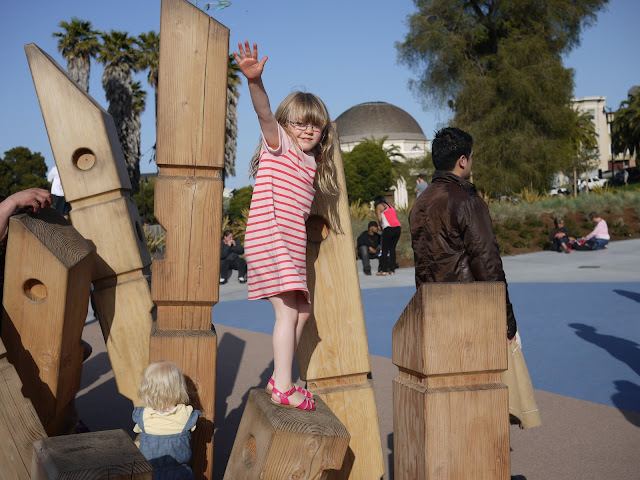 Fast forward to April this year and a new playground has been opened in Dolores Park. 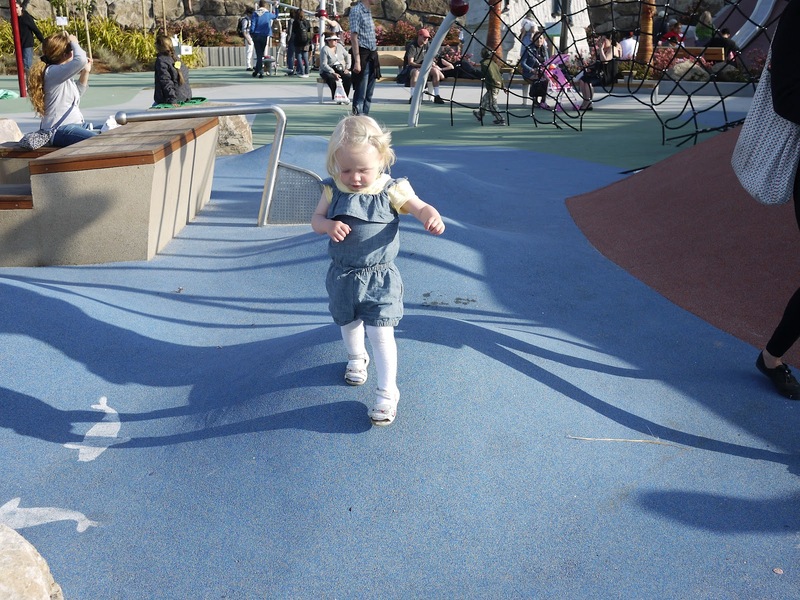 And what an amazing playground it is. 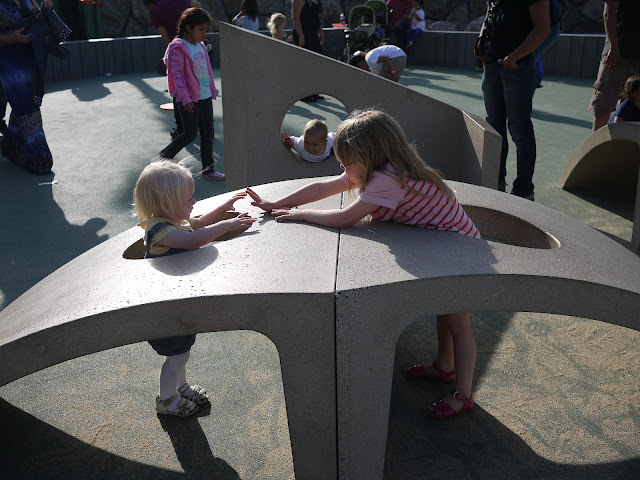 The kids absolutely love this new playground. I love this new playground! 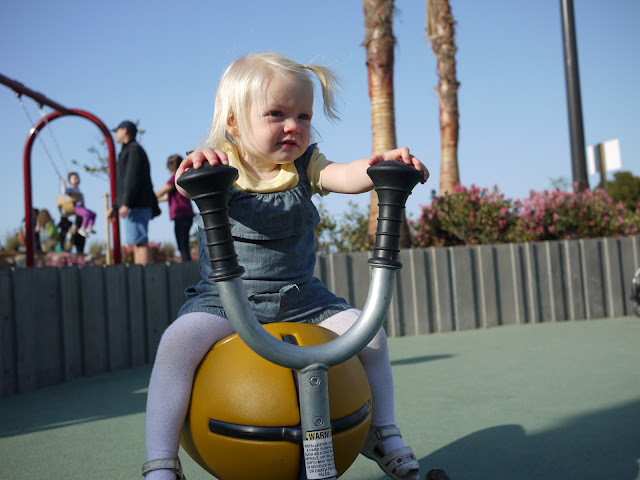 I won't go into too much detail about the playground. 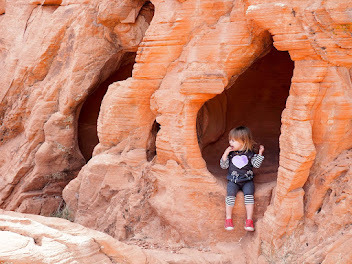 I'll just let the pictures tell the story. 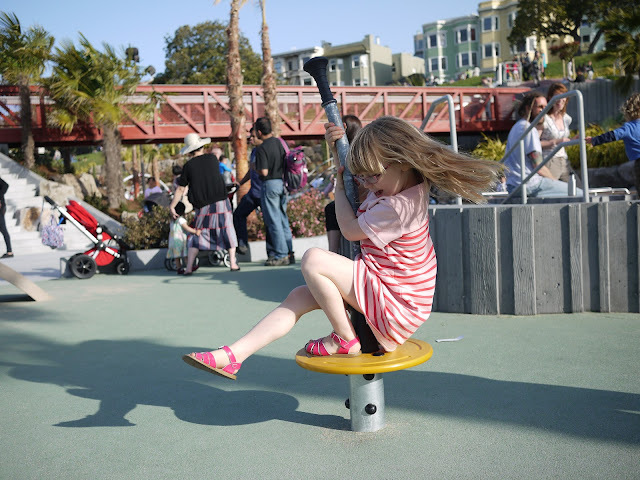 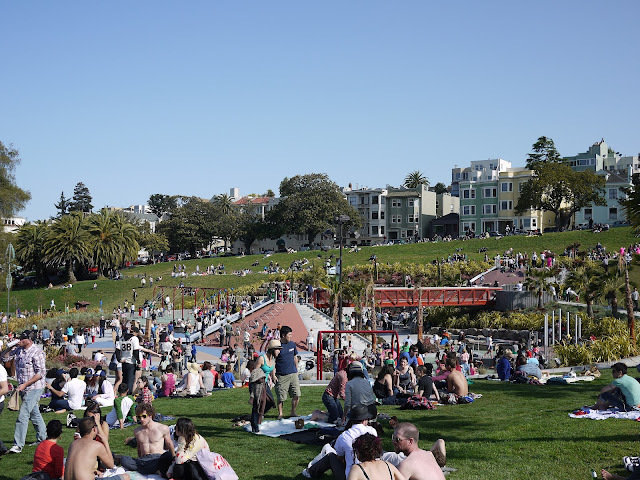 Needless to say, Dolores Park Playground (or Helen Diller Playground at Mission Dolores Park as it is officially called) is a winner and we'll be going back for more! Lola's turn to jump the "waves"
Lola swinging. Toddler swings here are fantastic. I can climb up this too!